UPDATE 27/11/13: Last Wednesday﻿ was the most explosive and dramatic council meeting I've been to so far. In fact, it took even numerous experienced councillors by surprise with one fearing it would descend into an East End-style punch-up! 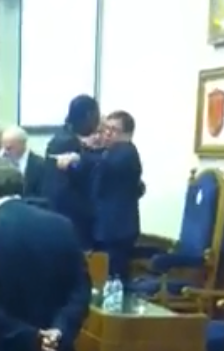 These scenes happened after the Mayor ended the meeting and the official Council webcast was switched off. 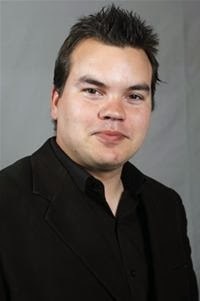 The Conservative Administration's emergency motion calling for Cllr Jeffrey Tucker (Independent Resident's Group, Rainham and Wennington) to apologise for the racist remarks he made to the press was supported by the leaders of the Residents' Association, Labour and UKIP groups. However, the meeting was called to a halt after Cllr Tucker continually disrupted the meeting, forcing the Mayor to pull the plug. I was disappointed to see the Council descend into such a farce. 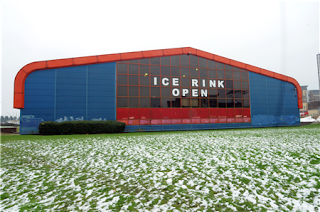 However I was really impressed earlier with the high standard of debate from all political groups regarding the Newham merger and increased funding for the Romford ice-rink. It was genuinely interesting listening to the contributions from all sides of the chamber - not just about those specific issues, but the future of local democracy itself! All councillors understood that they can't rely on the government to bail them out as they have done in the past. Instead local councils, including ours, need to find innovative ways to provide the best services for residents, and this means working with others. Unlike other meetings where Havering councillors have argued with each other for the sake of their party allegiances, last meeting I was inspired to see them working together, questioning and scrutinising - not out of tribalism, but out of concern for the best interests of residents. Should Havering team up with Newham? "This Council rejects merging our back-room services with Newham as a false economy that puts our lean but well run Council at risk"
"It is recommended that Council agree to an increase of £2m to this budget, making a revised capital budget of £28.848m, subject to the Agreement with Morrisons becoming unconditional." 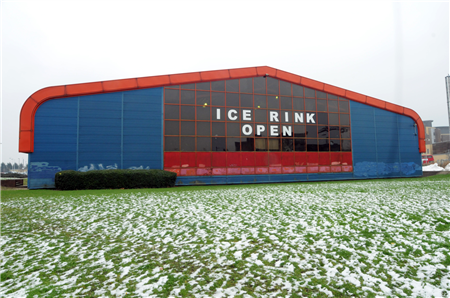 "It is recommended that Council receive a full and transparent review of the viability of the capital cost projections and revenue assumptions in respect of the proposed Romford Leisure Centre before committing any further funding to the project." 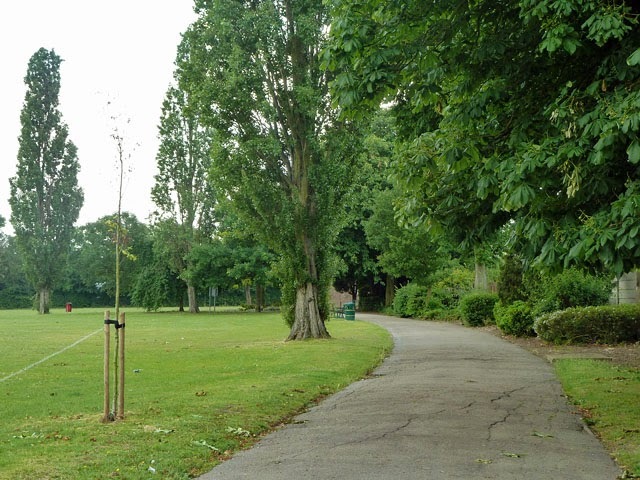 "This Council has an aspiration for a new Leisure Centre but rejects the proposal to make a £2 million payment from reserves towards a prestige project at this time of Government imposed cuts to jobs and local services." Here are the questions posed by opposition members to cabinet members. UPDATE 02/12/13: Includes full answers from cabinet members. a) Why he went against the recent recommendations of the Highways Advisory Committee (HAC) to refuse the application, and having authorised the build-out has now, after a matter of weeks, submitted a request to the HAC to remove it? b) What the cost was of installing the build-out? c) What the cost is likely to be for removing the build-out?" Question: "What initiatives are the Council adopting to improve recruitment and retention of key staff, particularly social workers in Children's Services?" Answer: "We want to recruit and retain high quality social workers across our social care teams. We know that recruitment and retention of social workers is a London-wide issue and so we're looking at how we can improve our social work teams internally, as well as working with neighbouring boroughs. We have a good record of taking on students, which means employing newly qualified social workers across all of our teams. It can be harder to recruit and retain more experienced workers. To tackle this, we have recently employed some former agency staff and we are also participating in a major jobs fair this month. We are also developing an attractive employment package including pay, travel costs and training opportunities to attract and keep experienced social workers in Havering." 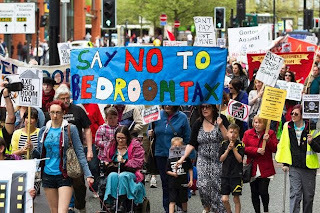 against the Coalition's "bedroom tax"
Question: "What action is the housing department taking to ameliorate the impact of the government's iniquitous bedroom tax, aka 'spare room subsidy'? Answer: "We disagree that the spare room subsidy is iniquitous and will point to the fact that 84 family sized homes have been released because of downsizing which means families who are in need are able to let appropriate sized proprieties. However, as with any significant change it was crucial to allow for a process of bedding in. We did this by providing training to front line staff who work with families, sharing useful information through Council publications such as At the Heart and boosting our debt advisor team. 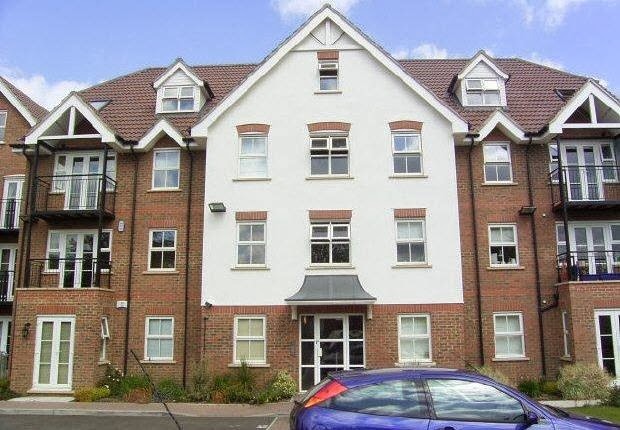 Tenants who are under occupying their properties have been contacted individually and we will continue to support them and advise on possible options." Question: "Following duplicate payments made by this Council of £44,168 in 2009/10 and £11,403 in 2010/11, would the Cabinet Member set out the amount of duplicate payments made in 2011/12 and 2012/13?" 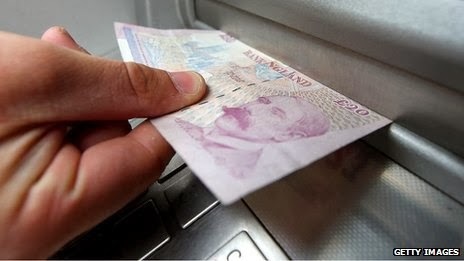 Answer: "We have a very robust process and IT system in place for recovering duplicate payments. 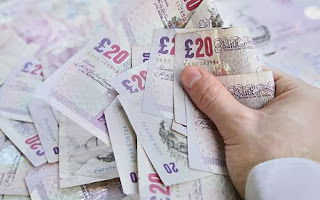 In 2011/12 duplicate payments of £217,468 were made. This mainly comprised of four large invoices. However, we have recovered 99.6 per cent of these payments, amounting to £216,553 and we continue to pursue recovery of the outstanding amount - just under £1,000. In 2012/13, duplicate payments of £13,331 were made. To date, we have recovered £8,588 and we are confident that we will again recover the bulk of the payments." Question: "How many Council dwellings are being kept empty to cater for specific needs and in view of the shortage of family accommodation why are the Council retaining so many empty properties?" Answer: "We do not keep proprieties empty to cater for those with a specific need. Rather, we look at those who have specific needs on a case by case basis. As of this month (November 2013) we have 215 properties which are empty because they are either undergoing repair work or repair work is due to start. We have 82 homes that are empty because they are awaiting demolition." 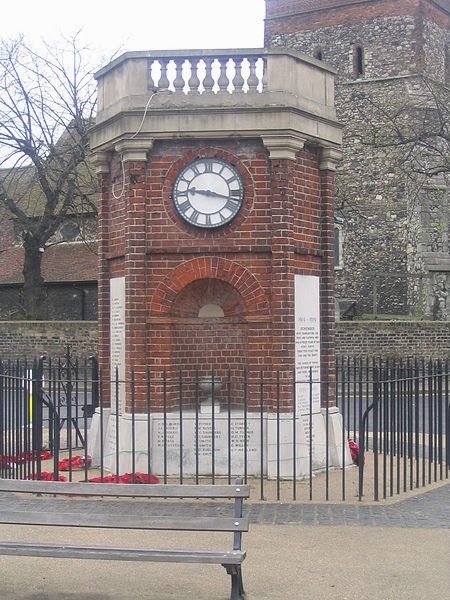 Question: "Please provide an update on plans to renovate the Rainham War Memorial and add additional names as compiled by local historian Sean Connelly." Answer: "I'm very pleased to tell members that the Council recently secured over £86,000 from Veolia North Thames Trust to restore the borough's five main war memorials in Romford, Hornchurch, Upminster, Rainham and Harold Hill. The funding will go towards repairing and maintaining the memorials and forms a key part of the borough's plans to recognise the centenary of the start of the First World War, in 2014. This will form part of a comprehensive piece of work into the study of social history, education and the restoration of structures relating to the First World War, including a joint exhibition to mark the centenary with Havering Museum. It will illustrate the impact of war on the small towns and villages that existed in Havering then, and the contribution and sacrifices made by those who lived here and died serving their country. The Borough's war memorials bear testament to the ultimate sacrifice made by Havering's residents and it is hoped that the exhibition will illuminate some of the personal stories of those who served as well as look at the lives of those who remained on the home front. 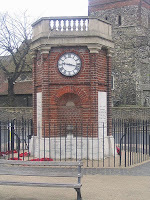 A considerable amount of work is needed to restore the war memorial in Rainham, which we hope to complete by the end of the financial year (31 March 2014). With regards to adding more than 800 names that have recently been identified by Sean Connelly as missing from the borough's war memorials, we're considering the best and most appropriate way to ensure that these names are recognised and we will continue to liaise with Mr Connelly. We will also continue to work with community groups to gather information, photographs and memorabilia for the exhibition. I would also like to take this opportunity to pay tribute to Warrant Officer Ian Fisher from Elm Park who recently died in Afghanistan. Our thoughts are with his family at this very difficult time." Question: "What is being done by this Council to provide employment opportunities for young people between 18-24, given unemployment amongst this group in Havering is well above the London average?" Answer: "We know that we have a wealth of talented young people in the borough and we want to do all we can to help them into employment and ensure they are able to reach their full potential. Therefore, through the Skills and Workforce Development group, we regularly meet with representatives from Jobcentre Plus, Work Programme and several other organisations to put together projects which will help reduce unemployment in Havering. This group has mapped the employment and skills provision across the borough, and works with businesses to encourage local recruitment. 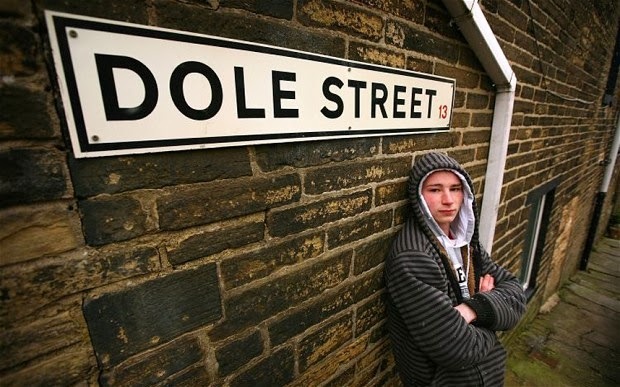 Securing £250,000 from the London Council's European Social Fund to fund an employability project specifically targeted at young unemployed people at risk of homelessness. They'll get advice, guidance and training. A new City of London Scheme, Get Young People Working - The Youth Offer, has invested £100,000 into working with young people who are not in education, employment or training - to get them into four-month paid work placements. Those taking part will gain valuable work experience and skills. We also champion apprenticeships, working with local training providers through the Apprenticeship Provider Forum to promote apprenticeships to employers and young people. This includes organising events for Apprenticeship Week in March 2014, identifying new apprenticeship opportunities from employers, and a monthly vacancy report is completed, detailing all the vacant apprenticeships in Havering." Question: "In view of the anticipated increase in Havering's population as described in the recent Housing Strategy approved by Cabinet recently, what plans have the Administration developed to address the severe pressures on public services are likely to occur in the foreseeable future?" Answer: "We know that this will be a huge challenge for us in the coming years and that's why we are already working hard to fully identify the scale of the population growth, where the budgetary pressures will be and what we can do to continue to provide the best possible quality of life to all of our residents. We know that particular age groups such as older people and young children are likely to rise the most and this will place pressure on local services such as schools, the NHS and social care. So we're already taking action. Last week, our Cabinet agreed to the second phase of our primary school expansion programme which will deliver 23 new classes for September 2014. It also sets out our plans to continue to provide enough places for the coming years, including encouraging new free schools - such as the Oasis Academy in Romford - as well as looking at measures such as split site and all-through schools. In the longer-term, we will be looking at how we can work better with the NHS to prevent people needing hospital treatment. Other initiatives we'll be considering include working more closely with the voluntary sector to provide befriending schemes for isolated older people and help to keep them healthier for longer. Using the most up-to-date information on how our population will change, we'll continue to plan for the future, ensuring we use limited resources where they are most needed and for the benefit of all local residents." Is crime high in Rainham? Question: "The latest TNO crime figures that the number of crimes committed in Ranham is high and not, as the Council have previously said, 'somewhere in the middle' of the table of crimes. In view of this, will the Council now seriously reconsider extending the CCTV network to deter and solve crime in Rainham?" 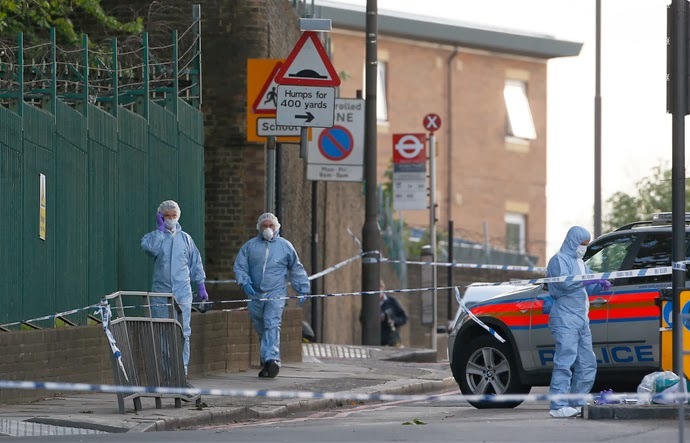 In the last year, Met Police data shows that burglary is down 7%, criminal damage is down 20% and robbery is down 13%. This doesn't mean we're complacent about keeping residents and businesses safe. Council initiatives like the alert box scheme is already up and running allowing shopkeepers to stay in touch and provide assistance should the need arise. It is crucial that we look to the official statistics in cases like this and they don't support the need for CCTV at this time." Question: "Given that the Department of Transport's initial consultation on the proposed Lower Thames Crossing has now closed, what plans does the Council have in terms of resisting the expected preference for 'Option C' which cuts through swathes of Green Belt land in parts of the borough?" Answer: "As one of the greenest boroughs in London we are committed to protecting our natural environment and especially our green belt land. This is why when asked to respond to the consultation about the changes to the Crossing we went for Option A. This option is not only the least costly but we think it is also the most likely to get the work to the Crossing done within reasonable time frame while having least impact on our open spaces. The Department for Transport has yet to publish their report on the consultation so we cannot predict what the final result will be." Question: "What action is taken to ensure that properties under Private Sector Leasing arrangements are of the appropriate standard and, in some cases appropriateness for letting and what procedures are in place to ensure that any repairs needed are carried out to the same standard and timescales as a council tenant would expect of the Council?" Answer: "Before we take on any private properties we carry out due diligence by identifying any repairs that need to be done. We look at the condition of the building, make sure that the kitchen and bathroom is up to scratch, as well as checking for fire and other health and safety hazards. If repair work were needed, we would expect this to be done to high standard and if there were significant damage, which has not been repaired, we wouldn't take on the property at all. In terms of repair timescales, we would aim to fix very urgent issues like a total loss of power, water, or a major leak within one day. 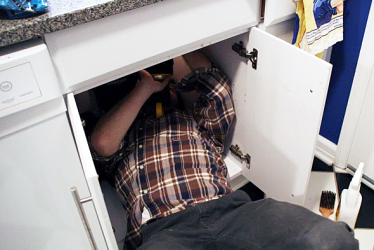 For other issues, such a partial loss of power, we would aim to fix any problems within three days. We would aim to fix not so urgent issues between seven and twenty days. By law, we are not required to maintain the same standards for temporary accommodation as for permanent proprieties however we do ensure that all homes meet safety and legal guidelines." How long does it take to fix potholes? Question: "What is the expected timescale from when a pothole is identified with orange paint to when it is actually repaired?" 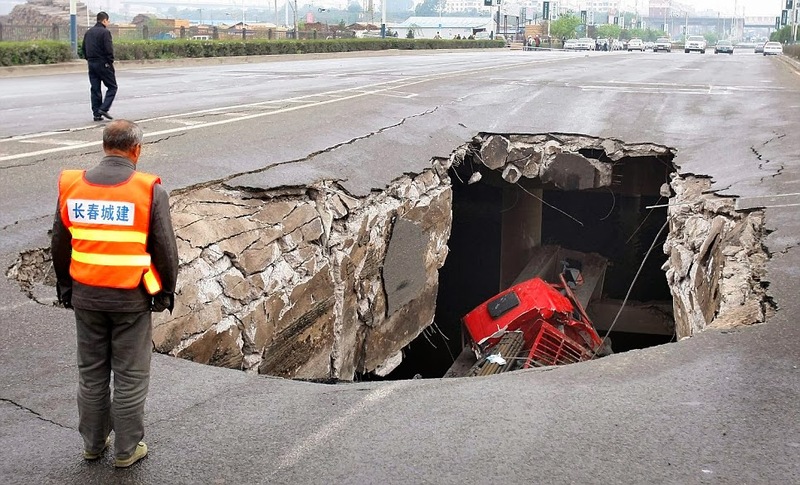 Answer: "A pothole is usually repaired within 28 days or sooner, depending on the classification of the carriageway and the severity of the defect." Question: "Confirm if the proposed Health Centre on the site of the former St George hospital will be funded through a PFI (private finance initiative) arrangement or some other funding mechanism?" Answer: "Responsibility for developing the site of the former St George Hospital in Hornchurch lies with NHS England and NHS Property Services. Under the new NHS arrangements, the Havering Clinical Commissioning Group (CCG) has to develop a clinical case for the proposed health centre to go on the site, which takes into account local need and our Health and Wellbeing Strategy. A bid would then be submitted to NHS England which decides whether it should proceed. If so, NHS Property Services then considers the options to deliver the scheme, including as wide-range of funding options. The final decision is made by NHS Property Services and NHS England." Are we prepared for winter? a) We have sufficient supplies of grit/salt to distribute/spread during the season? b) Have there been any changes in the routes roads areas being given priority? c) Has any thought been given for residents to obtain supplies direct from the Council?" Answer: "a) Yes, we do believe we have sufficient grit for the winter. We have more than 2,000 tonnes currently in store. We also have a contract to replenish our stocks with the Salt Union if we need more. b) No, the priority routes are the same. c) We have a statutory duty to keep the public highway free from ice and snow. 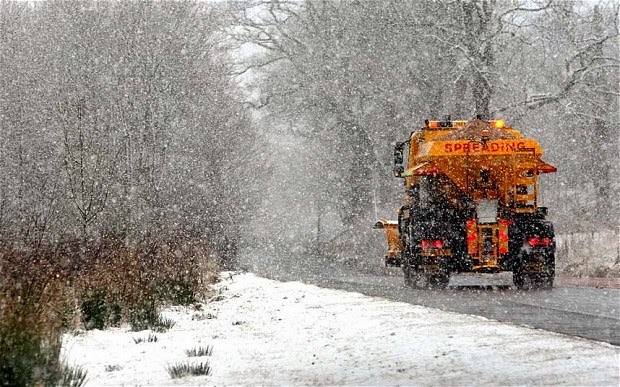 As you can imagine, grit is a very well used and highly-desired resource, but we can't sell or give it to residents because it could be used in areas where there isn't a great need and where we wouldn't normally grit, such as front drives - which would reduce the amount we have available to keep the roads moving." Here are the motions that were debated. One group puts forward a motion arguing a case. Another group can put forward an amendment to the original motion, either slightly or completely changing it. All councillors have the chance at the end to vote for each motion and amendment put forward. They can either vote for, vote against, or abstain. How much do Councillors deserve? "We the Councillors for London Borough of Havering will reduce the number of Councillor posts which receive a Special Responsibility Allowance (SRA) within this Council by 50%. To take effect from the 1st January 2014. It is unfair that the Council Tax Payers for London Borough of Havering and various departments within this Council should bear the full brunt of these cuts and by reducing the number of Councillor posts which receive an SRA, we the Councillors for London Borough of Havering are demonstrating that we too are prepared to deal with the hard times ahead, in order those in need are always put first." a) form a cross-party working group to review the number of SRA positions along with the associated allowances and, subject to independent scrutiny, make recommendations to full Council for adoption. b) agree that this work commences as soon as practical following the local elections in May 2014.
c) agree that this proviso is included as part of the budget setting full Council meeting in February 2014 where Members' Allowances are usually considered." Delete the words of the motion and insert the following in place thereof. "This Council accepts the recommendations of the London Council appointed Independent Panel in respect of the number of Councillors Special Responsibility Allowances per each Council and with a view to implementing those recommendations in full agrees to review its Cabinet and Committee structures as soon as is possible." "This Council notes that savings in budgets for the Councillors' allowances scheme for 2014/15 have been included in the Medium Term Financial Strategy and will be considered and decisions taken in February 2014 as part of the budget process for that year." Are cash fares a thing of the past? "TfL's 'London buses going cashless' consultation document says it will save £24 million a year in operating costs by 2020. 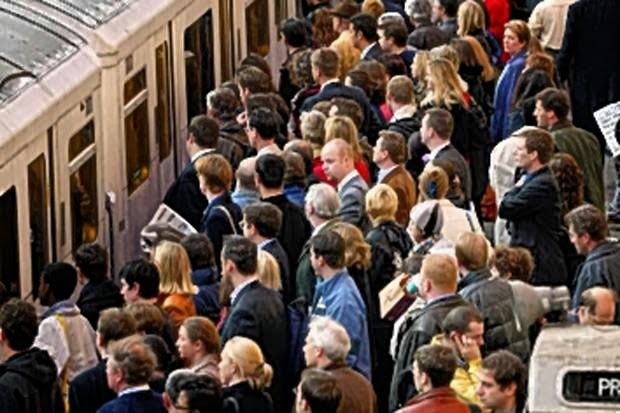 And the same document says 60,000 passengers pay the extra £1 fare every day - although TfL's Annual report says 85,000 passengers are paying the cash fare! However if we settle for a figure of 70,000 this generates an income of £25.5 million a year and means the cash fare is already generating £1.5 million more income than the forecast saving in 7 years time! In addition over £30 million in credit remains on the Oyster cards every year! So even if the costs of handling cash fares did rise above income, a small part of the credit on the Oyster cards could pay the difference! In other words 'London buses going cashless' will lose TfL money and result in a poorer bus service, particularly for vulnerable people and in outer-London where cash fares remain high. Therefore the Council calls on the GLA Mayor to honour his election promise to support outer-London by retaining cash fares on London buses." "This Council acknowledges the benefits of bus fares being paid by cashless means, calls upon the Mayor of London and TfL to continue to accept bus fares being paid by cash whilst encouraging greater use of Oyster cards and at the same time ensuring maximum security for bus company employees who handle cash." 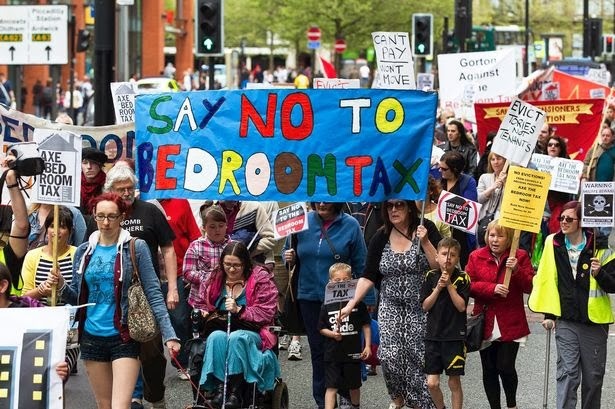 Should we call on the government to scrap the "bedroom tax"? "This Council recognises the adverse impact on many of its tenants caused by the introduction of the 'spare room subsidy' also known as the 'bedroom tax' and calls on the Government to repeal the legislation that introduced it." "This Council recognises the positive effects of the various legislations enacted to enable a fairer use of Council property, ensuring movement to maximise the use of a scarce and valued commodity." 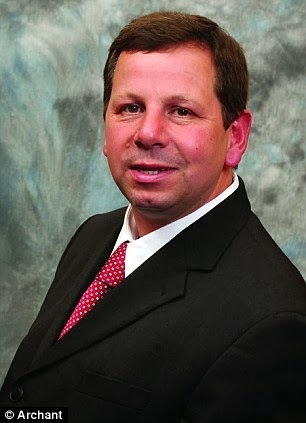 "This Council calls upon Cllr Jeffrey Tucker to withdraw his statement to the Press around people working together and calls upon him to unreservedly apologise to Council staff and communities in Havering who have been offended by his remarks." UPDATE 27/11/13: No vote, meeting called to a halt after the scenes mentioned at the start of this blog.